Literature is filled with the stories of many women, whether as damsels in distress or as strong, independent heroines — but there are a few who we think are worth looking up to. Check out our list of #LiteraryGoals and see if any of your personal favorites are there! With quick wit and strong will, Elizabeth Bennet has captured the hearts not only of the equally stubborn Mr. Darcy, but also of readers throughout the centuries. She was the kind of woman who stands her ground and speaks her mind, even if it’s not what is expected of a lady. But underneath this hard, protective shell is a heart that is kind and loving, loyal and true – especially to herself. We all love the March girls — Jo, especially — but let’s take a moment to recognize Marmie. She raised four amazing and honorable daughters by herself (for the most part) and cultivated a loving home environment despite her limited resources. Trese is on this list not because she fights aswangs, tikbalangs, and other creatures of the Underworld. That’s cool —but what’s even cooler is that Alexandra understands the delicate balance that must be maintained in a world where different people of different races with different needs live. Trese doesn’t just seek the short-term victory, she works towards the long-term harmony where everyone is safe and free. This quirky Ravenclaw may seem strange at first sight, but underneath the turnip earrings and funky glasses is a strong and loyal heart. What sets Luna apart from the other girls at Hogwarts—apart from her wild taste in fashion—is her courage, to stand up for friends, to believe when no one else does, to be unapologetically true to herself. Aside from being an incredibly strong and skilled warrior, this Amazonian demigoddess has, for years, represented female power in a world dominated by men — and until now, after many costume changes and origin stories, she continues to do so. Though for a time she was the only female member of the Justice League, this didn’t stop her from fighting on to uphold the good. But she is also a lover of peace, always choosing diplomacy over violence whenever she can. “I’ll never be hungry again,” Scarlett vows to herself in the aftermath of the US Civil War. Scarlett’s motivations aren’t always the purest (she holds very racists beliefs, for one) but her survival instincts and strong will to chart her own future are certainly admirable. Tall, strong, and aggressive, Brienne does not fit the mold of the ideal noble woman of her world. She suffers the pain of her being different and yet, she still continues to make her own path. Brienne holds herself and others to very high standards of loyalty and honor. The world would be a better place if there were more women like Brienne running it. Yes, we’re all jealous of Lucy because she got to live in Narnia, know Aslan, and have dryads and talking animals for friends. But more than the extraordinary circumstances she found herself in, we envy Lucy’s unwavering faith in people and in goodness. We all wish we can that be pure of heart. There is a long tradition of literary orphans capturing generations of readers’ hearts and Anne Shirley has firmly earned her place in this pantheon. As Anne got into hilarious mix-ups, let her temper get the better of her, and navigated her way into adulthood — she made us feel better about our own blunders and boo-boos. The girl from Prince Edward Island also showed us it was possible to be all grown up and yet keep your imagination and romantic ideals intact. Contrary to the first word associations you make when you hear her name, Death is not at all gloomy and melancholy. Because she understands that all life, all stories, all worlds must end someday, she treasures moments and people the way one savors a beautiful sunset. She gives us the big-picture perspective we often lose in the flurry of the everyday — an outlook we can try to hold on to while we live and breathe. We all feel inadequate and mediocre sometimes. We all feel that we have to earn our mothers’ approval. June reminds us that this is okay, this is normal. And she also reminds us that, at the end of the day, having the “best quality heart” is what we should aim for. She’s practically perfect in every way. Enough said. We can only imagine how tough living life on the run amidst an intergalactic war is. As if that’s not challenging enough, Alana is also a young mother having to constantly make decisions for her family’s safety at every turn. Getting to know Saga’s Alana and all her complexities helps unshackles us from the burden of expectation of what a women should be. Her clothes and fabulous sense of style—even as an exile—should be enough to get her included in this list. But more than we want to wear her outfits, we want to be like her because Effie was able to step out of her comfort zone, expand her worldview, and fight for the rights of others. Effie showed us one needn’t be on the frontlines to make a difference. There are only a handful of female characters in Middle Earth but Eowyn is our favorite. She is mortal (so we relate better with her) and she feels deeply the limitations of being a woman in a world of men, elves, and orcs. Despite expectations, Eowyn goes to battle and risks her life because she wants to be part of something bigger than herself. When she kills the Witch-king of Angmar and screams, “I am no man!,” we are all there with her. 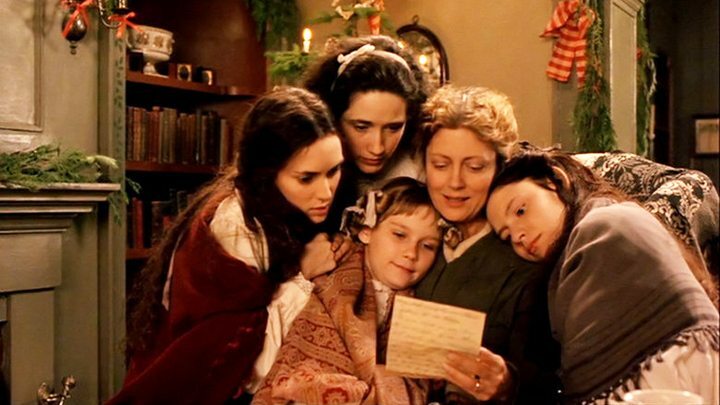 Who are your female literary goals? Share it with us in the comments! Interested in any of these? Send us an email at greatreads@fullybookedonline.com to request a title. Hermione Granger! I’ve always identified with her persona since I picked up Harry Potter and the Philosopher’s Stone when I was in second grade. I guess you can say I grew up with her, and I loved seeing her develop; from being bookish and misunderstood, to her finding friendship, love, and her true calling where she was able to use her brains for the wizarding community as the next MoM.